I've listed here a few fun Easter events to keep the whole family entertained. Sponsored by Fountain Valley Recreation and Community Services! FREE Carnival Games/Crafts/Face Painters/Bounce House/Super Slide & Obstacle Course. Highlights include a visit from Mr. and Mrs Bun's arrival in the bright blue bunny mobile, a bunny hop, and the Easter "egg" (candy) hunt. Sunday, April 4 10:00AM-5:00 PM. The Parade begins at 2:00 PM so be sure to be there with the whole family. Indian, Thai, and Chinese cuisine will be available during the day long event! Free for all, however Egg Hunt is for children 10 years and younger. Highlights include face painting, food and fun crafts! Should a Prom Dress Cost More than Your Wedding Dress? Some say that prom night is every girl’s dream come true but is every parent's worst nightmare. LOL. While prom night is probably not designed to make parents go overboard, the high cost of designer prom dresses could really hurt the wallet. Every mom knows what “effect” the prom night has on their daughters. And while it’s only natural for any mother to want her daughter to feel and look like a movie star or someone who just stepped out of the pages of a fashion magazine on prom night, going overboard for a prom dress is just silly! On Easter Sunday, if you want to go on a spiritual journey with the whole family, you can visit Mount Soledad or Mount Helix and catch the Easter Sunrise service there. The mountaintop is the site of the Mount Soledad cross, which I think is a wonderful place to be. Enjoy the view and the moment with your family. Don't forget the Bible and the camera! Easter Sunday evening is a wonderful time for a family dinner party where everyone gets dressed in their “Sunday Best” (your daughter can wear one of favorite girls Easter dresses) and enjoy traditional meals that everyone will love--some baked ham or lamb maybe. 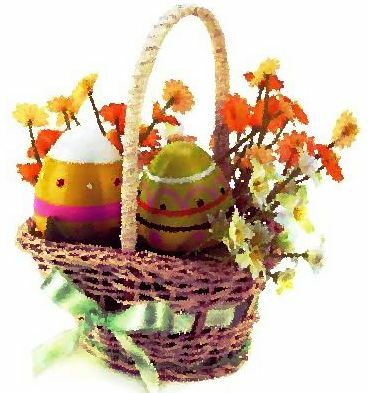 Your daughter will surely enjoy decorating DIY Easter baskets and other great spring crafts this week. Specially if you're simply staying home with her, doing some coloring activities with her will be a great bonding moment. Check out our free Easter Coloring Pages. You can also have fun taking pictures of her wearing a dress you bought from us for a chance to win $100. To join the contest and know more about its guidelines, simply click the image below. The Cheongsam is Back in Style! Did you know that cheongsams are back in style? Oh, yes they are! Many creative designers put their own spin on the classic Cheongsam that it has become popular once again. In my opinion, the Cheongsam is a wardrobe staple that hardly goes out of style. They come in every imaginable length and designs, no wonder so many shops in Singapore and elsewhere are selling beautiful and fashionable cheongsams dresses for the ladies. Now please don't forget that we too have beautiful girls Chinese dresses for your little ones. Girl's beautiful hot Pink traditional Chinese dress (qi pao). Qi Pao was the traditional Chinese clothing worn during the Ching Dynasty (1644-1911 AD). The elegance of this Pink Chinese dress will transform your little girl to a beautiful and stylish Chinese princess! Girl's beautiful red traditional Chinese dress (QiPao or qi pao). Red is symbolic of good luck, vitality, and the New Year in the Chinese Culture! Gold brocaded Red Cloth of bamboo and plum leaves are symbolic of longevity. Purple is symbolic of wealth and winter in the Chinese Culture! Dark purple fabric is brocaded with shiny purple bamboo and plum blossoms. Bamboo and plum blossoms symbolize long life. Get your darling little princess this beautiful purple Chinese dress (QiPao or qi pao, order now! You will love the diamonds that were put on the skirt of this ballerina dress. A dress perfectly made for your little princess! See product details to view more photos of the dress. This dress is perfect for Flower girl dress, First Communion, and for other special occasions. With this dress, your daughter will surely be the belle of the occasion! Join our Photo and Review Contest today! Winners will then be announced on May 03, 2010 via Elite Dresses, Elite Dresses blog, Twitter and newsletter. For our beloved First Communicants, only the best dresses for you. All the dresses are of great quality and are of reasonable price. We are amongst the lowest online retailers. Buy now and join our Photo and Review contest!